Easy dinners are the way to go! Getting dinner on the table quickly, and without a huge amount of effort has a simple answer – sheet pan dinners. Making sheet pan dinners is like the equivalent of casseroles in the 1970’s. Very minimal dishes are involved when you’re finished, and everyone is happy. The bonus? You can probably even fit in a little quality time with your family before the night is over. 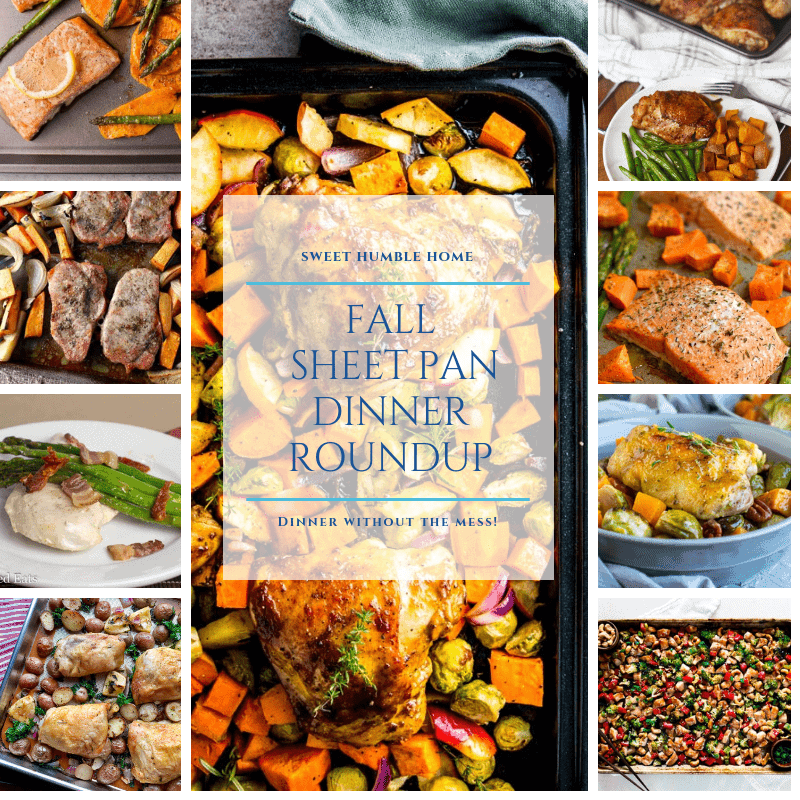 In this Fall Sheet Pan Dinner Roundup you’ll find some delicious choices from some of our favorite bloggers. 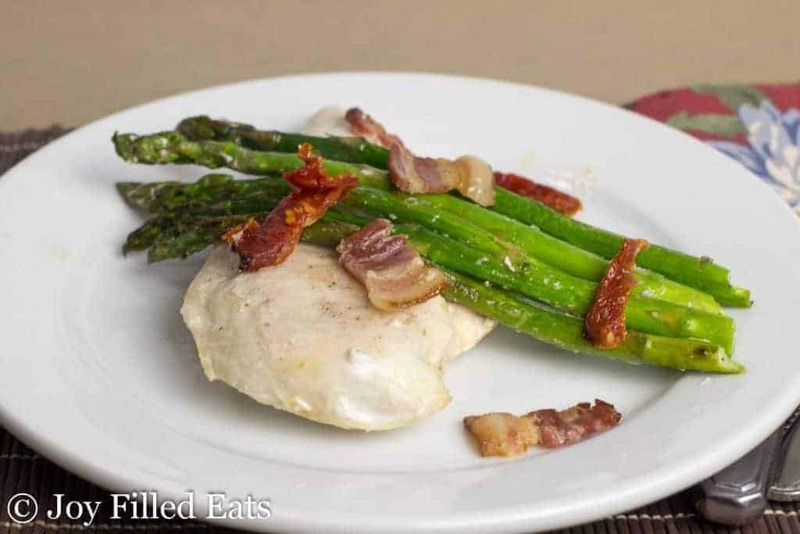 Taryn at Joy Filled Eats brings us her Easy Chicken & Asparagus sheet pan dinner. She uses this meal for family dinner and company alike! 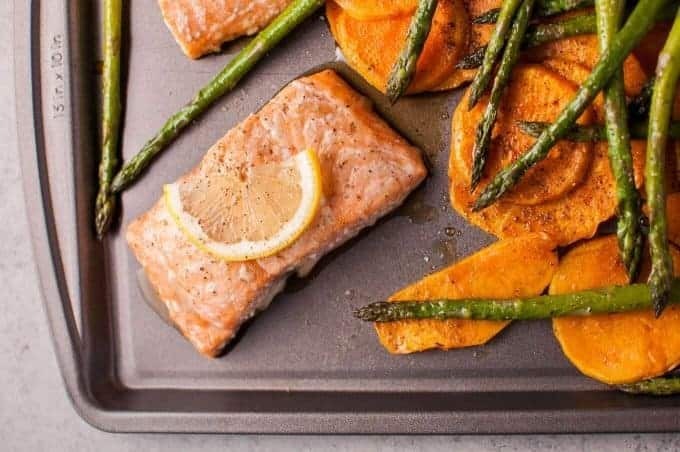 Skinnyfitalicious shared an amazing looking One Pan baked Salmon Asparagus and Sweet Potato dinner – Megan really can show us all how to eat healthy! 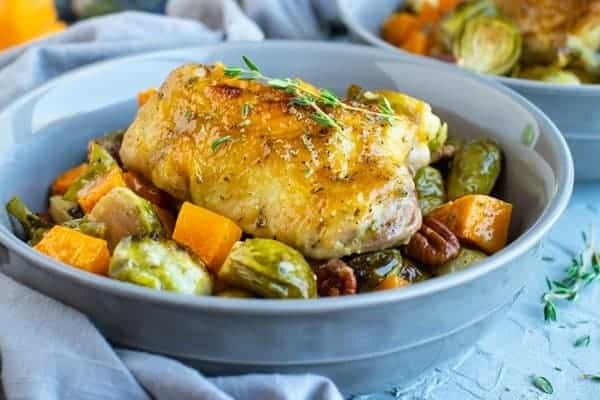 London at Evolving Table has a delicious recipe for Maple Glazed Oven Baked Chicken Thighs and veggies. She had me at “maple glazed”. 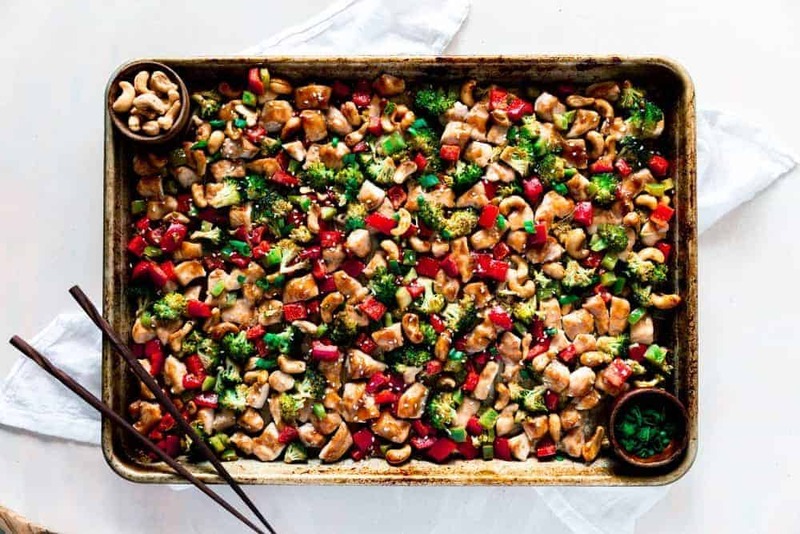 Powered By Mom has a recipe for a Cashew Chicken Sheet Pan Dinner that you’re going to fall in love with. Michelle is an expert at one pan meals! 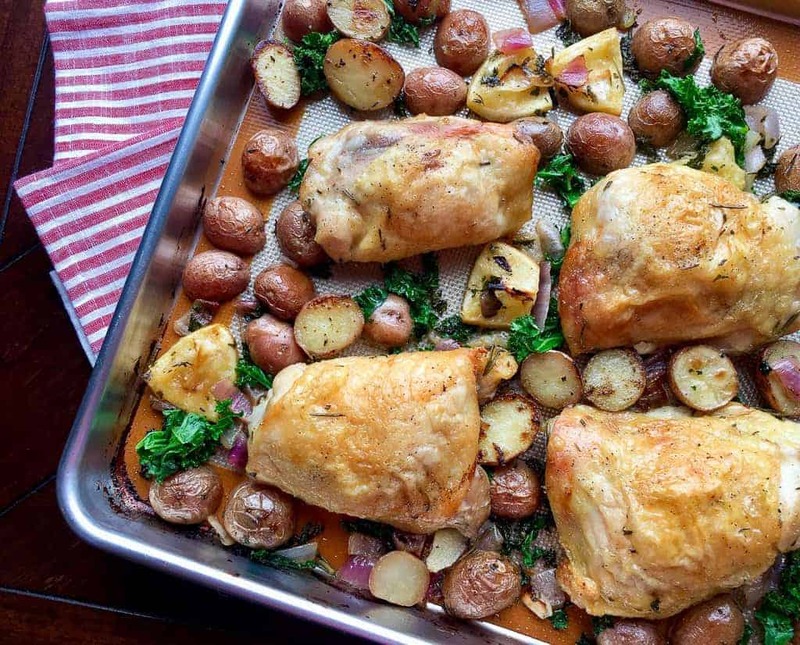 Thank you to Leah at Zesty Olive for sharing her Sheet Pan Herb Roasted Chicken with Red Potatoes dinner! 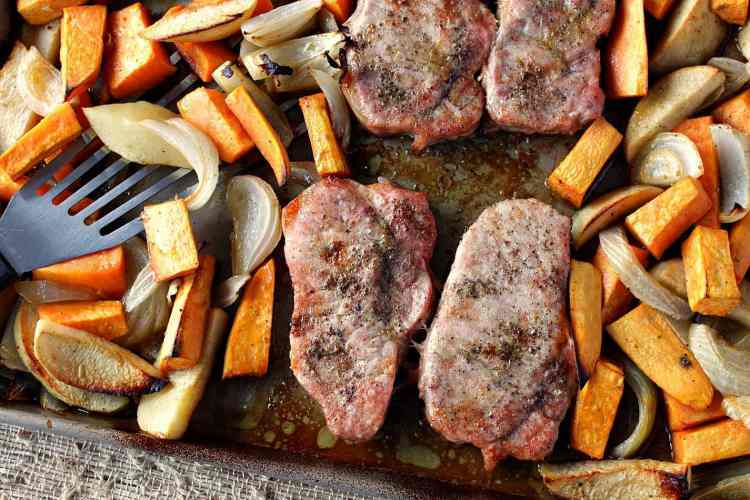 A Ponzu Pork Cop Dinner with Sweet Potatoes, Apples, & Onions sounds divine. I can’t wait to check out the recipe by Renee at Kudos Kitchen by Renee. 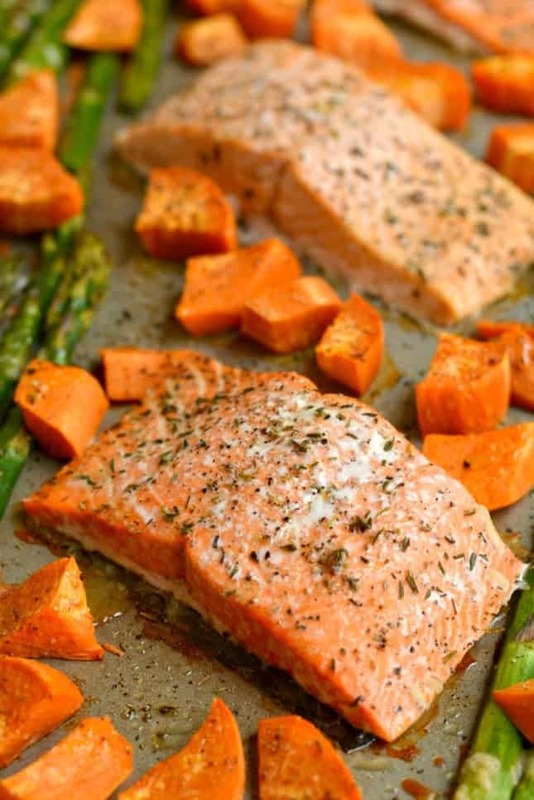 Thank you, Natasha at Salt & Lavender for sharing your Maple Salmon Sheet Pan Dinner! Tell me that this doesn’t look delicious! Oh TaKenya! Brown sugar AND bourbon BBQ?? Stop. It. 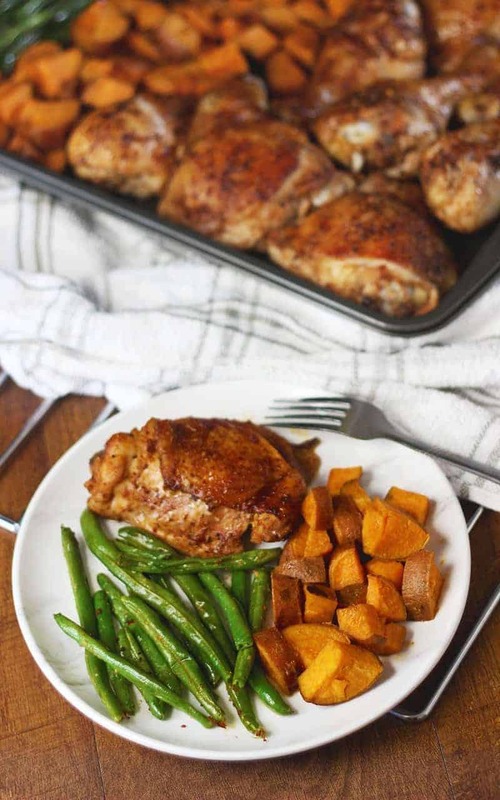 Taken at kenyarae.com shared her Brown Sugar Bourbon BBQ Sheet Pan Chicken & Sweet Potato Dinner with us. Aren’t we lucky?? 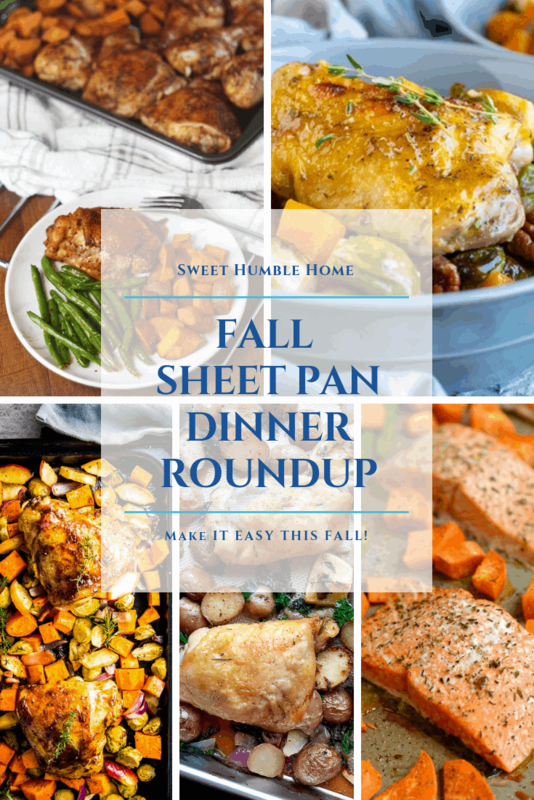 Finally, we have a Fall Harvest Balsamic Glazed Chicken Sheet Pan Dinner from Nora at Savory Nothings. What a beautiful dish. That was quite a roundup! Thank you to all of these wonderful ladies who run these fabulous blogs with the awesome recipes! I’m going to try every last one. How about you? 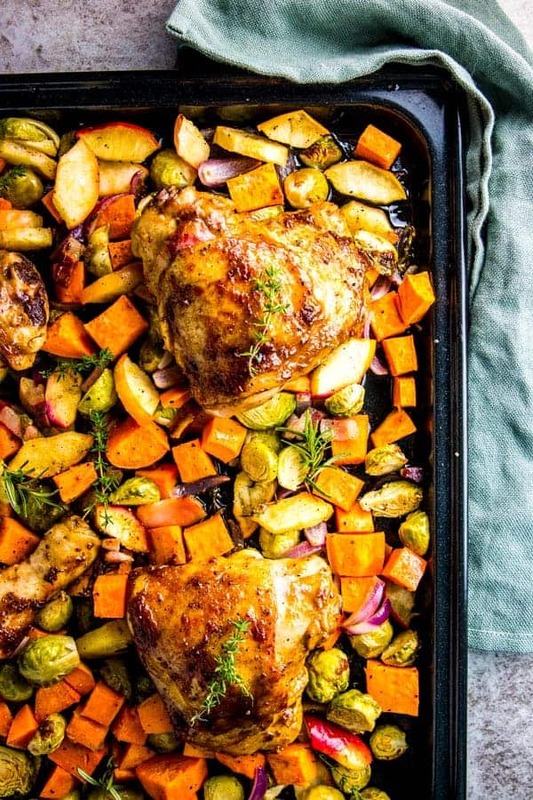 Do you have any sheet pan dinners to share? I’d love a few more for my recipe box!